Brussels Labour is keen not just to connect Labour supporters in Brussels but also to get involved with the local politics that affects its members. This year Brussels Labour is practicing what they preach in Brussels’ commune elections. Not one but TWO members are on lists to become councillors in the city. Former Chair, Jo Wood, and executive committee member Keir Fitch are standing in the elections on 14 October. Jo Wood is standing in the Ville de Bruxelles commune, which stretches from the centre of the city over to the European quarter. She is #36 on the Parti socialiste list for the commune. 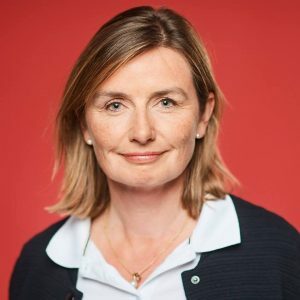 Take a look at Jo’s Parti socialiste page for her manifesto. Or be a hero and spread the word on Facebook and Twitter! Meanwhile, Brussels Labour executive committee member Keir Fitch is 23 on the Parti socialiste list in Etterbeek, one of the communes that makes up part of the European quarter. See the Parti socialiste website for the full manifestos for the commune elections. Brussels Labour welcomes a guest post from the I vote where I live campaign. We are a group of European citizens from different EU countries, living in Brussels. 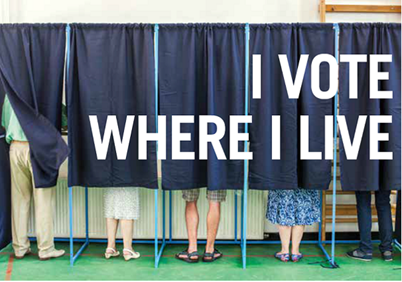 In 2016 we got together to create the I vote Where I Live campaign. We all are interested in politics, not only in our countries of origin but also in this city that we call home. Nearly 250,000 Europeans are affected by local policies in the 19 communes of Brussels. We believe it is important that all residents of Brussels are engaged in Brussels’ local politics, and even more so with municipal elections on the agenda this year. Our group’s primary objective is to raise the awareness of European residents to the political and institutional life of the territory and facilitate their integration and active participation in the Brussels communes, in line with the rights provided by European citizenship. We believe that the city of Brussels, for its history of diversity and its role in the European construction, is a privileged laboratory for an innovative and inclusive notion of political citizenship. We consider participation in the local elections in the 19 communes of the Brussels-Capital Regions an important step towards better integration of European citizens and the emergence of a sense of community and belonging. We want to actively contribute to developing joint answers to local issues. We are not starting from zero as a group. Already in June 2017, we created a Facebook page, I Vote Where I Live, with currently around 260 likes and followers, “and counting”. Within this group, we have already organised several events, for instance, on the rise of populism across different countries, on mobility in Brussels and a series of events called “Belgium for Dummies” where we address the questions of foreigners on how Brussels and Belgium work and what needs to be done to vote in October. Events were attended by between 40 and 80 participants. 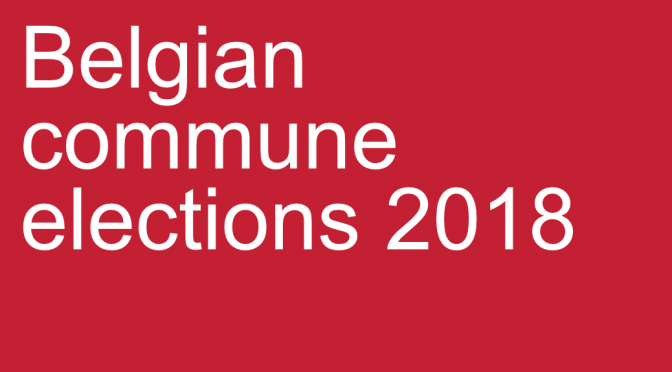 Commune elections in Belgium are coming up on 14 October. There’s no more direct means of being politically active than putting a cross in a box and it’s a great way to show that you’re integrated in Belgium 😉 Take a look at the commissioner.brussels website to see how you (or a friend) can register. Make sure you sign up by 31 July! It is likely that campaigning activities will start around 10am on the Saturday morning (18 April) in Bristol. Bristol West CLP has very kindly offered accommodation for the weekend. We very much hope that Brussels Labour members will be able to participate in this campaigning weekend – please inform the Secretary if you are able to come along (and if you need accommodation). The Executive Committee proposes to set up a campaign fund of 500 EUR per campaign weekend to help Brussels Labour members participate in these campaigning activities. We welcome applications to this fund. Brussels Labour can provide financial support of up to 100 EUR each for five Brussels Labour members to take part in each campaigning weekend. To apply, contact the Secretary specifying the dates when you plan to campaign. You can apply to take part for one day or for a weekend. If your application is accepted you will then receive a simple form to submit within a week of your return with proof that the trip cost at least 100 euro (e.g. a copy of the travel ticket), a short report (up to 250 words) and some photos of the campaigning activities that we can publish in our newsletter, Germinal. In justified cases, the payment can be made before you travel (on the basis of a copy of the travel ticket) and the report and photos submitted within a week of your return. Further information about the London and South East campaign weekends will be posted in due course. September means a return to work, a return to school… and a return for Brussels Labour. Should you wish to vote in the next local elections in Belgium on Sunday 14 October 2012, you will need to make sure you are registered by Tuesday 31 July 2012. For Brussels residents, registration is very easy. Just print out and complete the application form in the link below and send it to your “Maison Communal” (see links below for your commune). The meeting begins at 20:00. The venue opens at 19:30. If you would like to eat, please come early and order before the meeting starts.